1. License Grant. This TOU provides to you a personal, revocable, limited, non-exclusive, royalty-free, non-sublicenseable, non-transferable license to use the Website conditioned on your continued compliance with the terms and conditions of this TOU. You may print and download materials and information from the Website solely for your personal use, provided that all hard copies contain all copyright and other applicable notices contained in such materials and information. The content layout, formatting, and features of and access privileges for the Website shall be as determined by TAG in its sole discretion. 2. Restrictions. Notwithstanding the foregoing, you may not modify, translate, decompile, create derivative work(s) of, copy, distribute, disassemble, broadcast, transmit, publish, remove or alter any proprietary notices or labels, license, sublicense, transfer, sell, mirror, frame, exploit, rent, lease, private label, grant a security interest in, or otherwise use in any manner not expressly permitted herein the Website. Specifically, and by way of illustration and not limitation, you may not separate and use any graphics, photographs, or other audio, visual, or video elements from the accompanying text or material without the prior express written permission of TAG and/or its licensor(s). Moreover, you may not (a) use any “deep link,” “page scrape,” “robot,” “spider,” or other automatic device, program, script, algorithm, or methodology, or any similar or equivalent manual process, to access, acquire, copy, or monitor any portion of the Website or in any way reproduce or circumvent the navigational structure or presentation of the Website to obtain or attempt to obtain any materials, documents, or information through any means not purposely made available through the Website, (b) attempt to gain unauthorized access to any portion or feature of the Website or any other systems or networks connected to the Website or to any TAG server or to any of the services offered on or through the Website, by hacking, password “mining,” or any other illegitimate or prohibited means, (c) probe, scan, or test the vulnerability of the Website or any network connected to the Website, nor breach the security or authentication measures on the Website or any network connected to the Website, (d) reverse look-up, trace, or seek to trace any information on any other User of or visitor to the Website, (e) take any action that imposes an unreasonable or disproportionately large load on the infrastructure of the Website or TAG’s systems or networks or any systems or networks connected to the Website, (f) use any device, software, or routine to interfere with the proper working of the Website or any transaction conducted on the Website, or with any other person’s use of the Website, (g) forge headers, impersonate a person, or otherwise manipulate identifiers in order to disguise your identity or the origin of any message or transmittal you send to TAG on or through the Website, (h) use the Website or any Forum (as such term is described below) to harvest or collect e-mail addresses or other contact information; or (i) use the Website in an unlawful manner or in a manner that could damage, disparage, or otherwise negatively impact TAG. 3. User Obligations. By downloading, accessing, or using the Website in order to view any information and materials, register or enter into a transaction with or through TAG for any reason, or submit information of any kind, you represent that you are at least eighteen (18) years of age (or the legal age of majority (whichever is greater)) and will, at all times, provide true, accurate, current, and complete information when submitting information or materials on the Website, including, without limitation, when you provide information via a Website registration or submission form. If you provide any false, inaccurate, untrue, or incomplete information, TAG reserves the right to terminate immediately your access to and use of the Website. In addition, you agree to abide by all applicable local, state, national, and international laws and regulations with respect to your use of the Website. You also acknowledge and agree that use of the Internet and access to the Website is solely at your own risk. While TAG has endeavored to create a secure and reliable Website, you should understand that the confidentiality of any communication or material transmitted to/from the Website over the Internet or other form of global communication network cannot be guaranteed. Accordingly, TAG is not responsible for the security of any information transmitted to or from the Website. You must make your own determination as to such issues. 4. Other Terms and Conditions. Additional notices, terms, and conditions may apply to membership, certification, or payment for a program, service, or event. You agree to abide by such other notices, terms, and conditions, as applicable. If there is a conflict between this TOU and other notices, terms, and conditions posted to the Website, TAG shall resolve any conflict in good faith in its sole discretion but the latter terms shall generally control with respect to such membership, donation, payment, subscription, or participation in or use of such program, service, event, or solution. 7. Feedback and Submissions. 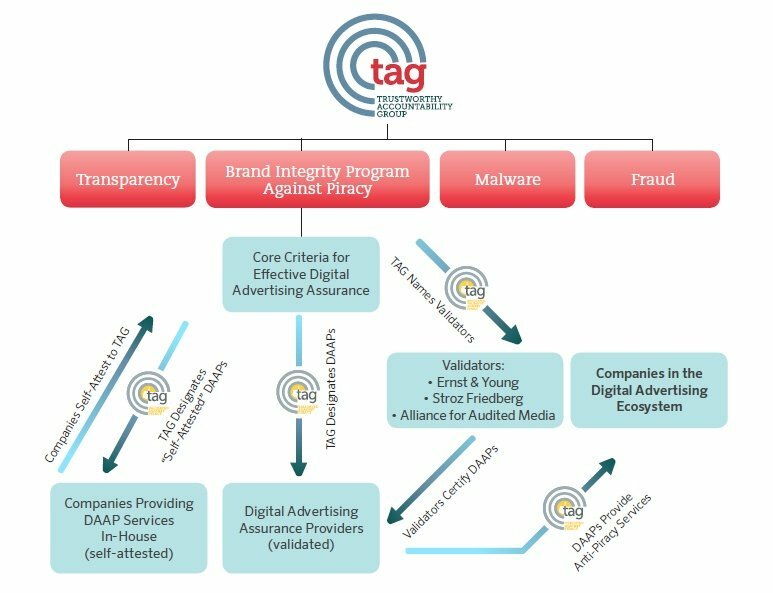 TAG welcomes your feedback and suggestions about TAG’s programs or services or with respect to how to improve the Website. By transmitting any suggestions, information, material, or other content (collectively, “feedback”) to TAG, you represent and warrant that such feedback does not infringe or violate the intellectual property or proprietary rights of any third party (including, without limitation, patents, copyrights, or trademark rights) and that you have all rights necessary to convey to TAG and enable TAG to use such feedback. In addition, any feedback received through the Website will be deemed to include a royalty-free, perpetual, irrevocable, transferable, non-exclusive right and license for TAG to adopt, publish, reproduce, disseminate, transmit, distribute, copy, use, create derivative works, and display (in whole or in part) worldwide, or act on such feedback without additional approval or consideration, in any form, media, or technology now known or later developed for the full term of any rights that may exist in such content, and you hereby waive any claim to the contrary. 8. Third Party Products & Services. TAG, in its sole discretion, may feature and/or post the advertisements of third parties on the Website and/or feature on the Website materials, programs, products, and services provided by third parties. TAG makes no representations with respect to, nor does it guarantee or endorse, the quality, non-infringement, accuracy, completeness, timeliness, reliability, or correct sequencing of such third-party materials, programs, products, and services or any other materials, programs, products, and services which such third-party materials, products, and services may access. Your correspondence or any other dealings with third parties found on the Website are solely between you and such third party. Accordingly, TAG expressly disclaims responsibility and liability for all third-party provided materials, programs, products, and services contained on or accessed through the Website, and you agree that TAG shall not be responsible for any loss or damage of any sort incurred as a result of any such dealings or as the result of the presence of such third parties on the Website. 9. Links to Other Web Sites. TAG may provide links, in its sole discretion, to other sites on the World Wide Web for your convenience in locating or accessing related information, products, and/or services. These sites have not necessarily been reviewed by TAG and are maintained by third parties over which TAG exercises no control. Accordingly, TAG expressly disclaims any responsibility for the content, the materials, the accuracy of the information, and/or the quality of the products or services provided by, available through, or advertised on these third-party Web sites. Moreover, these links do not imply an endorsement with respect to any third party or any Web site or the products or services provided by any third party. 10. Disclaimer. THE INFORMATION, SOFTWARE FUNCTIONALITY, AND MATERIALS AVAILABLE ON OR THROUGH THIS WEBSITE ARE PROVIDED ON AN “AS-IS” AND “AS AVAILABLE” BASIS AND MAY INCLUDE ERRORS, OMISSIONS, OR OTHER INACCURACIES. MOREOVER, TAG MAY MAKE MODIFICATIONS AND/OR CHANGES IN THIS WEBSITE OR IN THE MATERIALS, AND INFORMATION AVAILABLE ON THIS WEBSITE AT ANY TIME AND FOR ANY REASON. TAG MAKES NO REPRESENTATIONS OR WARRANTIES ABOUT THE SUITABILITY, COMPLETENESS, TIMELINESS, RELIABILITY, LEGALITY, OR ACCURACY OF THE SERVICES, MATERIALS, AND INFORMATION AVAILABLE ON THIS WEBSITE FOR ANY PURPOSE, AND EXPRESSLY DISCLAIMS (TO THE FULLEST EXTENT OF THE LAW) ALL WARRANTIES, EXPRESS OR IMPLIED, INCLUDING, WITHOUT LIMITATION, ANY WARRANTY OF MERCHANTABILITY, FITNESS FOR A PARTICULAR PURPOSE, OR NON-INFRINGEMENT OR ANY OTHER IMPLIED WARRANTY UNDER THE UNIFORM COMPUTER INFORMATION TRANSACTIONS ACT AS ENACTED BY ANY STATE. TAG ALSO MAKES NO REPRESENTATION OR WARRANTY THAT THIS WEBSITE WILL OPERATE ERROR FREE OR IN AN UNINTERRUPTED FASHION OR THAT ANY MESSAGE, FILE, AND/OR INFORMATION WILL BE STORED, ARCHIVED, OR DOWNLOADED FROM THE WEBSITE IN A MANNER FREE OF VIRUSES OR CONTAMINATION OR OTHER DESTRUCTIVE FEATURES. 11. Limitation of Liability. You expressly absolve and release TAG from any claim of harm resulting from a cause beyond TAG’s control, including, but not limited to, failure of electronic or mechanical equipment or communication lines, telephone or other connection problems, computer viruses, unauthorized access, theft, operator errors, severe weather, earthquakes, or natural disasters, strikes, or other labor problems, wars, or governmental restrictions. MOREOVER, AND TO THE MAXIMUM EXTENT PERMITTED BY LAW, IN NO EVENT SHALL TAG BE LIABLE FOR ANY INDIRECT, PUNITIVE, INCIDENTAL, SPECIAL, OR CONSEQUENTIAL DAMAGES ARISING OUT OF OR IN ANY WAY CONNECTED WITH THE USE OF THIS WEBSITE, WITH THE DELAY OR INABILITY TO USE THIS WEBSITE, THE COST OF PROCUREMENT OF SUBSTITUTE SERVICES, OR FOR ANY INFORMATION AND MATERIALS AVAILABLE THROUGH THIS WEBSITE, WHETHER BASED IN CONTRACT, TORT, STRICT LIABILITY, OR OTHERWISE, AND EVEN IF TAG HAS BEEN ADVISED OF THE POSSIBILITY OF SUCH DAMAGES. IN ADDITION, TOTAL LIABILITY OF TAG FOR ANY REASON WHATSOEVER RELATED TO USE OF THIS SITE SHALL NOT EXCEED THE TOTAL AMOUNT PAID BY YOU TO TAG IN CONNECTION WITH THE SUBJECT MATTER OF THE PARTICULAR DISPUTE OR $2,500 (US), WHICHEVER IS LESS. 12. Governing Law. This TOU has been made in and will be construed and enforced in accordance with the laws of the District of Columbia as applied to agreements entered into and completely performed in the District of Columbia. You agree to the personal jurisdiction by and venue in courts in the District of Columbia and waive any objection to such jurisdiction or venue. Any claim you might have against TAG must be brought within one (1) year after the cause of action arises, or such claim or cause of action is barred. You access the Website on your own volition and are responsible for compliance with all applicable laws with respect to your access and use of the Website. In any legal proceeding brought by TAG, TAG shall have the right to seek and be awarded all reasonable attorneys’ fees and costs in addition to any other relief, at law or in equity, to which TAG may be entitled. 13. Enforcing Security on the Website. Actual or attempted unauthorized use of the Website may result in criminal and/or civil prosecution, including, without limitation, punishment under the Computer Fraud and Abuse Act of 1986 under U.S. federal law. 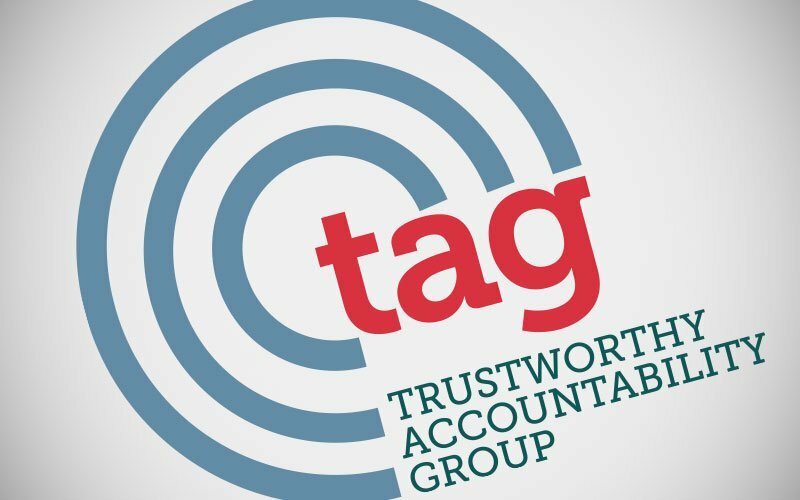 TAG reserves the right to view, monitor, and record activity on the Website without notice or permission from you, including, without limitation, by archiving notices or communications sent by you through the Website. Any information obtained by monitoring, reviewing, or recording is subject to review by law enforcement organizations in connection with investigation or prosecution of possible criminal or unlawful activity on the Website as well as to disclosures required by or under applicable law or related government agency actions. TAG will also comply with all court orders or subpoenas involving requests for such information. In addition to the foregoing, TAG reserves the right to, at any time and without notice, modify, suspend, terminate, or interrupt operation of or access to the Website, or any portion of the Website in order to protect the Website, TAG, or TAG’s business. 14. Injunctive Relief. You acknowledge that any breach, threatened or actual, of this TOU, including, without limitation, with respect to unauthorized use of TAG proprietary assets, will cause irreparable injury to TAG, such injury would not be quantifiable in monetary damages, and TAG would not have an adequate remedy at law. You therefore agree that TAG shall be entitled, in addition to other available remedies, to seek and be awarded an injunction or other appropriate equitable relief from a court of competent jurisdiction restraining any breach, threatened or actual, of your obligations under any provision of this TOU. Accordingly, you hereby waive any requirement that TAG post any bond or other security in the event any injunctive or equitable relief is sought by or awarded to TAG to enforce any provision of this TOU. 15. Term & Termination. This TOU will take effect (or re-take effect) at the moment you click “ACCEPT”, register, respond to a request for information, and/or begin downloading, accessing, or using the Website, whichever is earliest. TAG reserves the right at any time and on reasonable grounds, which shall include, without limitation, any reasonable belief of fraudulent or unlawful activity or actions or omissions that violate any term or condition of this Agreement, to deny your access to the Website or to any portion thereof in order to protect its name and goodwill, its business, and/or other Users, and this TOU will also terminate automatically if you fail to comply with its terms and conditions, subject to the survival rights of certain provisions identified below. Termination will be effective without notice and may impact your membership status with TAG. You may also terminate this TOU at any time by ceasing to use the Website, but all applicable provisions of this TOU will survive termination, as identified below, and each re-access or use of the Website will reapply this TOU (then in effect) to you. Upon termination, you must destroy all copies of any aspect of the Website in your possession. The provisions concerning TAG’s proprietary rights, feedback and submissions, disclaimers of warranty and liability, admissibility of this TOU, waiver and severability, entire agreement, and governing law will survive the termination of this TOU for any reason. 16. Waiver & Severability. Failure to insist on strict performance of any of the terms and conditions of this TOU will not operate as a waiver of any subsequent default or failure of performance. No waiver by TAG of any right under this TOU will be deemed to be either a waiver of any other right or provision or a waiver of that same right or provision at any other time. If any part of this TOU is determined to be invalid or unenforceable pursuant to applicable law including, but not limited to, the warranty disclaimers and the liability limitations set forth above, then the invalid or unenforceable provision will be deemed superseded by a valid, enforceable provision that most clearly matches the intent of the original provision and the remainder of this TOU shall continue in effect.